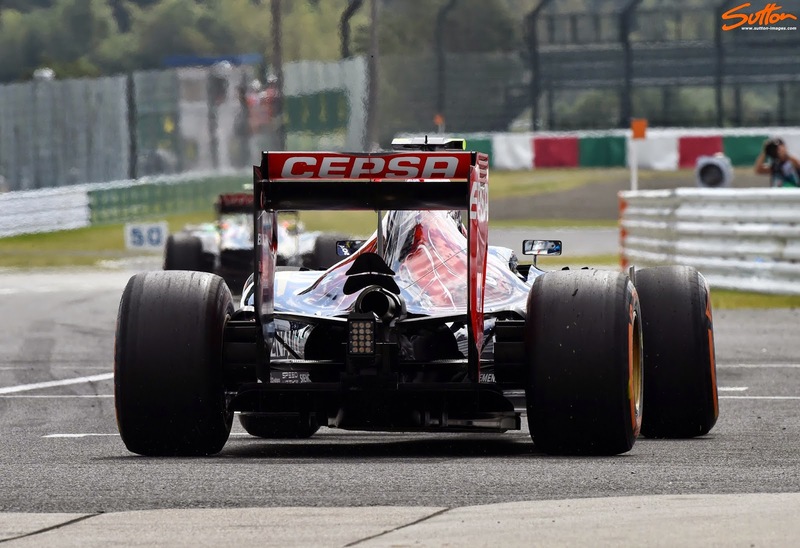 Toro Rosso are continuing their development having arrived at Suzuka with a new Y100 Winglet arrangement. The new twin winglet configuration is an ongoing development of those used in the past, with the new winglets looking to further harness the exhaust plume. As we can see from the image above, when viewed from the side their design is 3 dimensional, rather than appearing flat when viewed from directly behind. The horseshoe design will manipulate the exhaust plume in a different way to how its predecessors did, perhaps with a more localized intent, driving the centreline performance of all the aero structures/components, lessening the drag penalty. 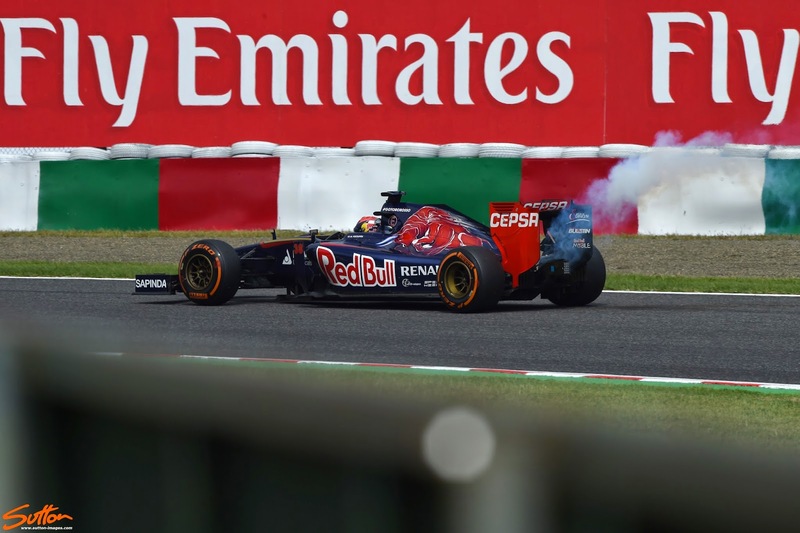 Although the use of exhaust gasses to drive aero is lessened in 2014 by the exhausts centreline placement and connection of the MGU-H to the Turbo, the teams are still looking to use any wasted energy. 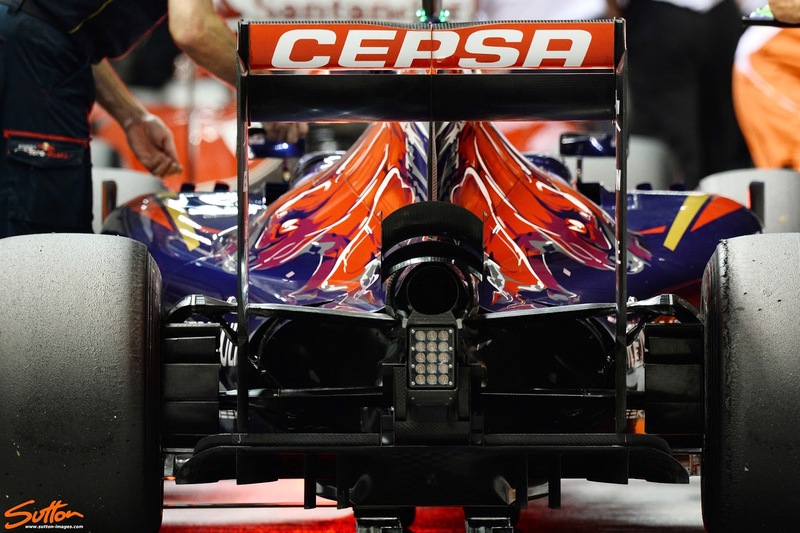 Furthermore the loss of the lower beam wing requires the teams to contrive other methods of creating flow structures that connect together to increase rear downforce. 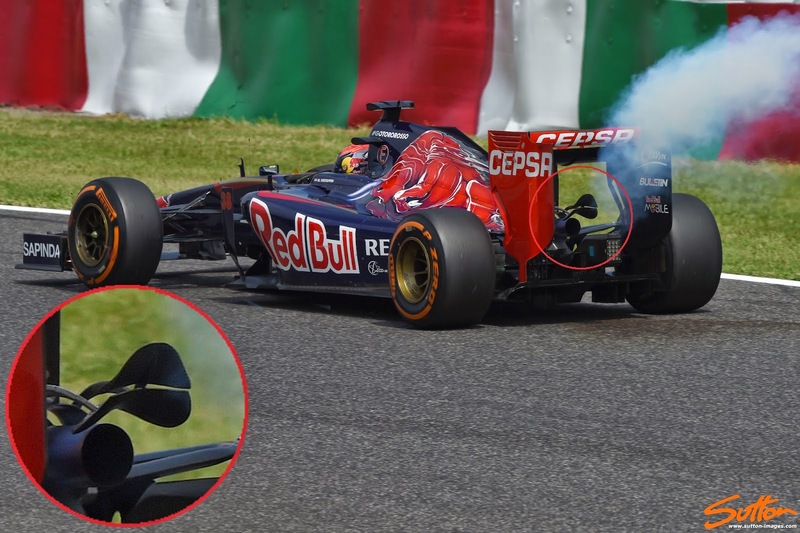 As we can see in this great image captured by Sutton when the STR9 decided to lunch one of its Powerunits the exhaust plume is clearly being washed upward (upwash), which helps to connect the airflow structures being generated by the diffuser, floor, cooling outlets, brake duct fins, plethora of centrline winglets and rear wing.